Compiled by cratediggers Loud E and The Wild, Discophilia Beligica is is a collection of next-door-disco and local spacemusic from Belgium 1975-1987. The tracks on this delightfully obscure collection are from ordinary folk. From R. Roland’s French-pop inspired Ethero-Disco and Carl Watson’s sleazy jazz flute heavy King Kong to the C.C. 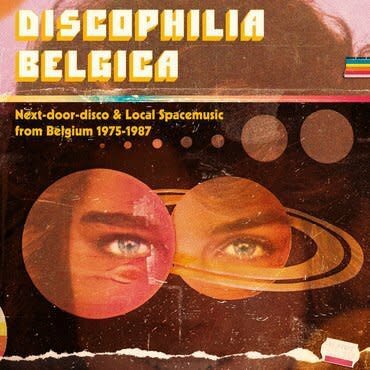 Band’s disco floor filler Be My Love Tonight, Discophilia Belgica is a collection of odd and sods,the weird and the wonderful.